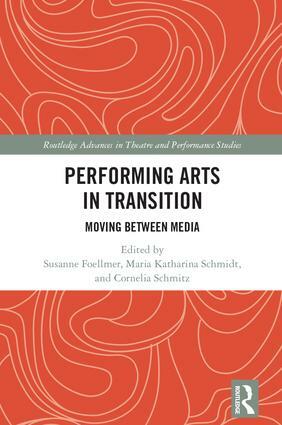 Susanne Foellmer is Reader in Dance at Coventry University, Centre for Dance Research (C-DaRE), UK. Maria Katharina Schmidt, independent researcher, has been a research fellow in the project On Remnants and Vestiges: Strategies of Remaining in the Performing Arts at the Freie Universität Berlin, Germany. Cornelia Schmitz, independent researcher, has been a research fellow in the project On Remnants and Vestiges: Strategies of Remaining in the Performing Arts at the Freie Universität Berlin, Germany.